It's that time of the year when there is a need for thank you cards for all the coaches and team manager that keep the kids and us parents in line for the sports season! As well as my own children I was asked to make 2 specials cards for 2 very special such coaches. I used their team colours to create a larger than normal card with plenty of room for each child to write a little note. 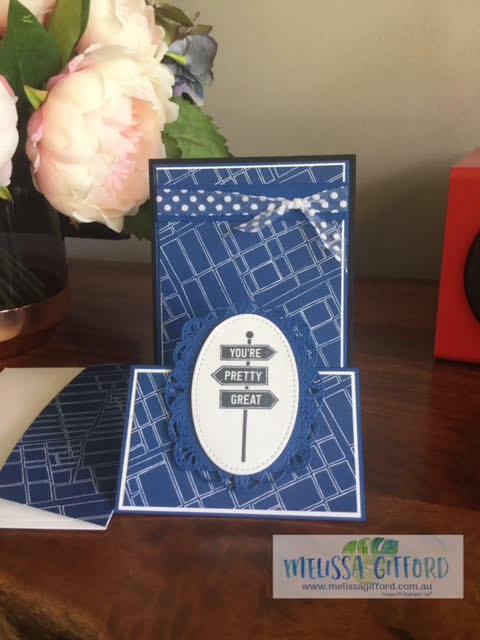 This one is the yummy blueberry bushel cardstock with the En Route stamp set and Best Route designer series paper. 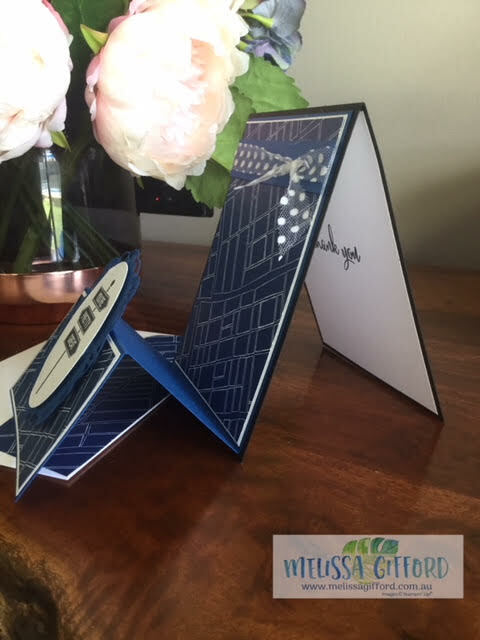 I love the fold of this card, it makes the card a little more special. For an added touch I also used some of the dsp on the envelope. I will show you the second one next time.